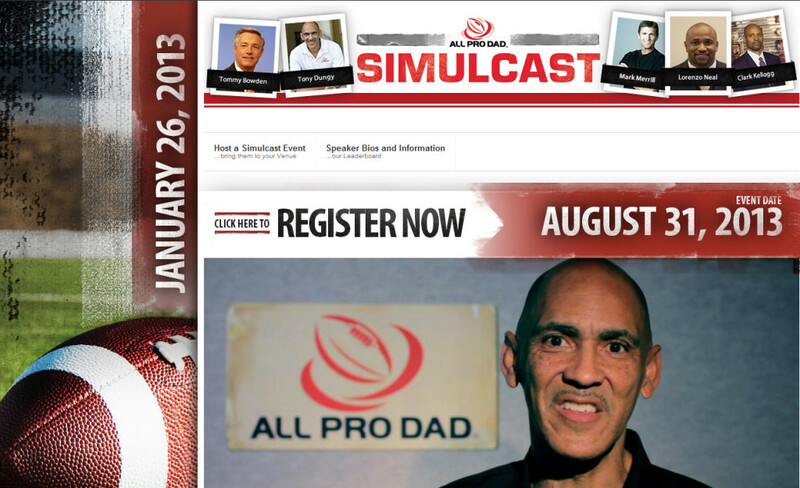 I was fortunate to be a part of the 2012/2013 All Pro Dad Simulcast project. I was commissioned to create and host a microsite for the streaming even that was promoted at that time. This was a full responsibility: layout, graphics, coding, and SEO.